"Wow! The scene I used to see in my history textbooks is now before me face to face, bold and intimate and for a bonus, I reached halfway the peak of the mischievous active volcano." The beauty and the majesty of the almost perfect cone Mayon Volcano of Albay never stops amusing me. 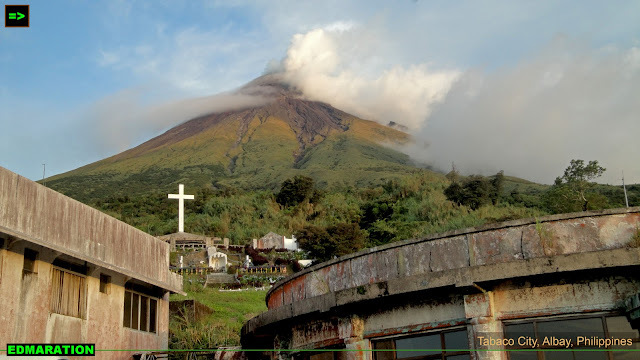 Yes, I know, I have posted two versions of the Mayon Volcano in this blog, one in Daraga and other in Ligao City, but I believe that in every town and city located in the slopes of the Mayon, a single story is worth another single article. I may be overdoing it or making a redundant post about Mayon but every town and city located at the volcano's slope has its own story to tell and another version of the Mayon worthy to be given another post. Mt. Mayon stands majestically and I will climb halfway to its crater, Yey! 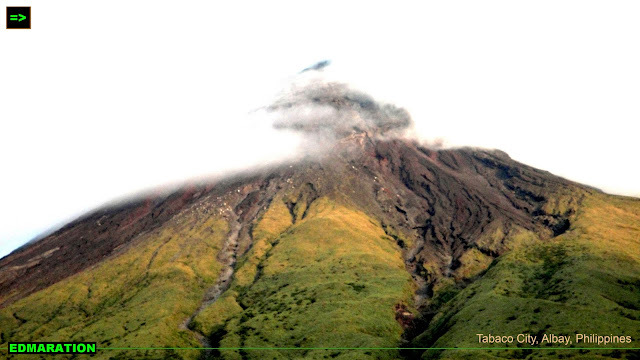 Tabaco City in Albay also has its own version of the Mayon. Remember, villages and communities surround the volcano 360 degrees. Unlike the Legazpi City side, the Mayon's cone shape is more perfect at Tabaco City side because at the peak, you can still see the pointed part unlike at the Legazpi City side where the peak is cracked. One thing more, Tabaco City has its own offering of the Mayon that other towns and cities don't have. The volcano is also a like the famous food Bicol Express on which it has a lot of versions and every version is worth a try - although collectively, it is just the Bicol express. As to Mayon, it is a single natural wonder with different offerings, perceptions of beauty and stories by different communities that is also worthy to tell. 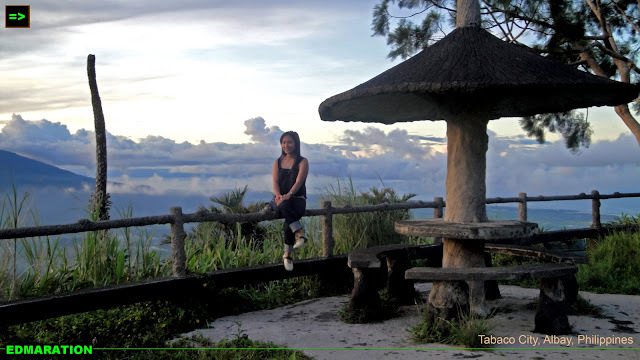 Mayon Rest house is a park located at the slopes of the Mayon Volcano at Tabaco City side and this park is located halfway the tip of the volcano. The rest house was built initially by the Americans with seismological instrument that then used by the Philippines Astronomical, Geological and Seismological Agency. I understand that there is also a planetarium here but during my visit, those structures were abandoned and looked dilapidated. Mayon Rest house is also the starting point for mountaineers who want to climb all the way to the peak, as of me, I can only manage to go halfway for the meantime. 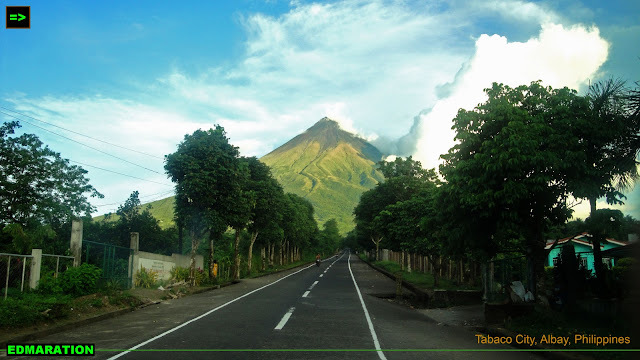 In fact, if you think I hiked going to this elevation, you're wrong because there is actually a well-paved highway that will lead you to the Mayon rest house park. If you want to go all the way to the top, then you need to hike. Look! I am now very close to the tip! I was in a point where I know I am now very close to the crater of the volcano and I can see the dark peak caused by lava flows coming from the angry and burning crater with sulfur. 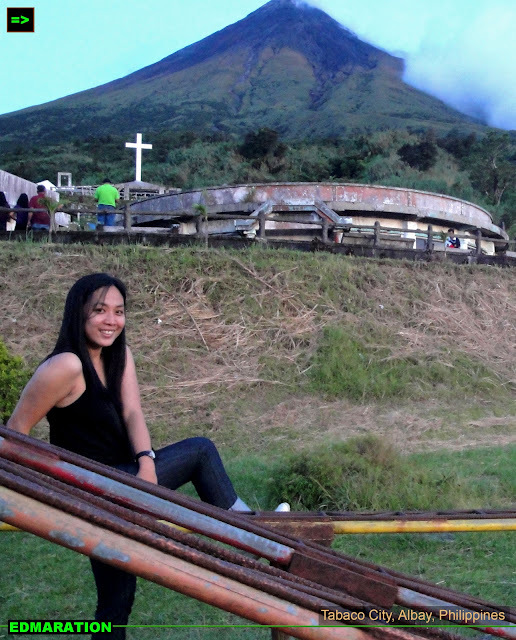 At the Mayon rest house park, the air is not that usual countryside air. It was so special and to note, it has some extra romance. The air is fresh and that is inherent there because there is no mechanical civilization happening so there are no carbon monoxide and green house gases except from the smoke of your vehicle should you wish to bring it here. Very unexpectedly, the air is too chilly that as the sun went down the horizon, I have to wear a jacket because I can not take the cold air penetrating my bones. So what could I ask for? 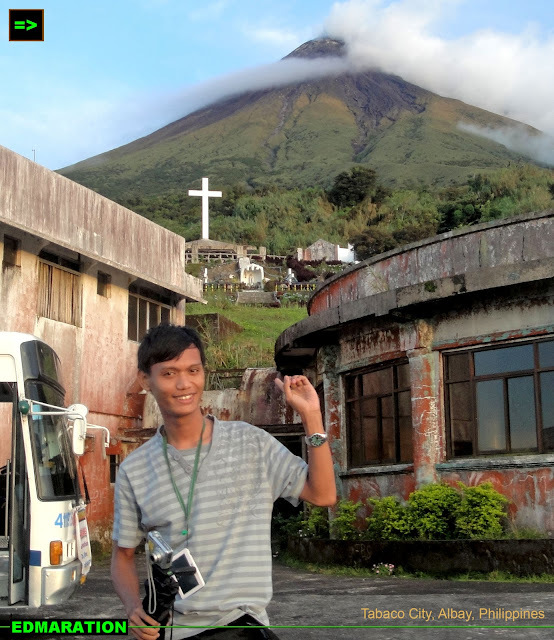 It was my first time to see the Mayon Volcano and the bonus here is the fact that I was also able to come to it more intimate and closer face to face. Wow! The scene I used to see in my history textbooks is now before me face to face, bold and intimate and for a bonus, I reached halfway the peak of the mischievous active volcano. It was a very fulfilling trip that I was able to see the different versions of Mayon Volcano at different towns and cities. This was in fact the chosen location of the Mayon rest house park because according to observations and studies, the lava flow doesn't go through here so the park is left untouched, safe and secured. 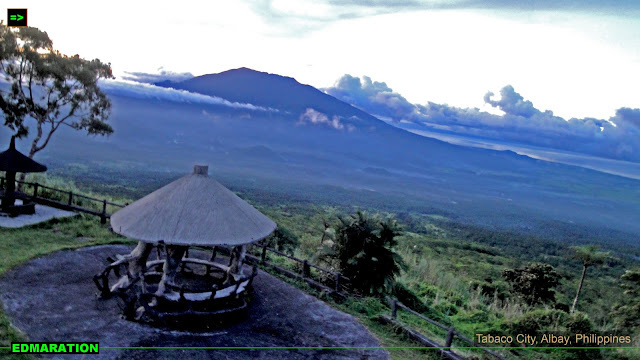 The Mayon rest house is just a very nice place for leisure and to relax and it is very close to nature. Mayon rest house is also the home for the Bonsai Kids. They are the children who sell bonsai plants for a living helping their parents for their daily basic needs. At the park, there are also some cottages for picnicking but as I said, the air is cold so consume the food fast, it might get frozen, lol! 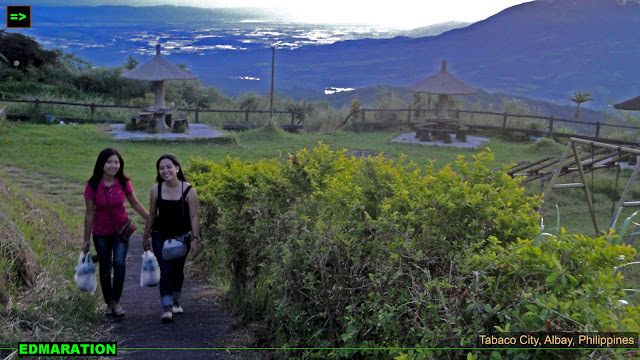 While at the park, you can also afford to view the beauty of the province of Albay from this elevation. Take note, at this elevation halfway at the Mayon's tip, you can already be in an elevation where you could look down to some smaller mountains around. So, I must say, Mayon has endless stories to be told and to tell you, this isn't the last post for my Mayon encounter, more to come. As I said, every single story is worth to have a separate post.